One arena where the illusion of control dominates is sports. Athletes are notoriously superstitious and sports commentators are known not only for their clichés and repetition, but for their frequent invocation of the power of belief. It gets a little tiresome to hear another commentator say that Tiger Woods "willed the ball into the hole" or that somebody who hit a game-winning home run "wanted it." The guy who missed the putt for the championship or struck out to end the World Series wanted it just as much, but what commentator would say, "he just didn't want it enough." 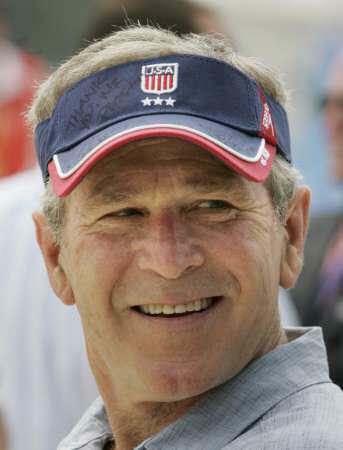 Even President Bush fell into the control illusion and cliché routine when he hosted the national champion Fresno State Bulldogs baseball team at the White House. He called them "a team that refused to quit" and thanked the players for their "willingness to never say die" (as if the University of Georgia players they beat for the championship were a bunch of quitters). Steve Salerno's SHAM: How the Self-Help Movement Made America Helpless has a chapter on the "empty prescriptives" of sports figures who make the banquet and workshop circuit where you'll be told repeatedly that to succeed in sports and in life you gotta want it and believe, baby. Even the correlative of the will to believe principle seems too obvious to pay big bucks for: if you believe you will fail, you probably will. It will be interesting to see if the global "recession" impacts the attendance at motivational programs.